The air was warm and very humid; the clouds were getting grey and threatening. The people of Copenhagen moved quickly and determined towards their Monday morning destinations. It was a dramatic setting and the kickstart of a busy week for Open Entrepreneurship. First on the agenda was a meeting between representatives from DTU and UC Berkeley at Paludan Bogcafé, a classic Copenhagen café in Fiolstræde. Line Bekker Poulsen and Peder de Thurah Toft from the DTU Office for Research and Relations met with Eugene Noh, CITRIS Foundry Partnerships Lead & NSF I-Corps Recruiting Manager at UC Berkeley to learn more about international relations and partnerships and best practices. The atmosphere was informal and a good example of Danish “hygge” with thunder and rain started crashing down outside the little book café. After an hour and a half, the meeting ended in a friendly manner with a lot of warmth and laughter, and promises to meet again on Danish, American or Korean ground. We headed to the next meeting, and bumped into Gigi Wang and Ken Singer in the middle of Fiolstræde, a typical street of Copenhagen with the colored houses and cobblestoned rain gutters. Gigi and Ken are part of the team at the Sutardja Center for Entrepreneurship and Technology at UC Berkeley, Open Entrepreneurship’s strategic partners. We further bumped into Jes Broeng, the program manager of Open Entrepreneurship, also looking for Fiolstræde 44. The address houses Danske Universiteter where DNNT, Det Nationale Netværk for Teknologioverførsel/The National Network for Technology Transfer, held their annual meeting. Jes gave a presentation called, From University IP to succesful Spin-out, Ken talked about the Key success Factors in university technology commercialization, Gigi presented best practices on Science and Technology Entrepreneurship, and Eugene shared How to accelerate Deep-tech Start-ups: CITRIS Foundry and NSF I-Corps. Industriens Hus in the center of Copenhagen was the location for the first conference held by Open Entrepreneurship. The building is modern, bright and it is filled with sky high ambitions, and trees grow into heaven. The conference was held after the big Danish IP Fair where university researchers from all the Danish universities showcased their research. Open Entrepreneurship invited 90 stakeholders to our invite-only conference from across the country to discuss the future of the commercialization system at the universitites and how we can improve the conditions, so even more spin-outs will see the light of day and hereby strengthen competitiveness of Danish industry. Among the attendees were researchers from AAU, AU, ITU and DTU, experienced entrepreneurs from the OE network, university business developers, key professionals from the Technology Transfer Offices at the universities, industry experts and public officials from the Ministry of Higher Education and Science and the Ministry of Foreign Affairs of Denmark. Mads Lebech, CEO of The Danish Industry Foundation, opened the conference. Jes Broeng talked about how to turn world-class research into world-class spin-outs, and Ken Singer, a serial entrepreneur and Managing Director at SCET, gave the keynote on how they do at UC Berkeley and in Silicon Valley. The conference was moderated by Gigi Wang, Chair and Director Berkeley Start-up Boot-camp at SCET. Gigi Wang is an entrepreneur, industry expert and assisted innovation programs across the globe. Open Entrepreneurship strives towards matching top researchers with experienced entrepreneurs. So it was natural to let a researcher and an entrepreneur to the stage and talk about their perspectives on university entrepreneurship, the two speakers were Jesper Bevensee Jensen, researcher at DTU Fotonik and entrepreneur at Bifrost Communications, and Frederik Taarnhøj, Co-founder and CEO at FaunaPhotonics. A panel debate on implementing Open Entrepreneurship, how to create the best entrepreneurial conditions for research-based spin-outs at the Danish universities was delivered by Anne Sofie Dahlmann Breindahl (AU), Carolina Velasco (ITU), Julie Seung Hee Rømer (DTU), Mithula Sivasaravanaparan (AAU) and moderated in excellent style and wit by Gigi Wang. The panel debate was followed up by the business unit managers, Peter Ibsen (ITU), Bo Frølund (AU), Michael Holbech (DTU) and Gert Spender (AAU) of Open Entrepreneurship. All four gave a 3 min pitch on a case that they are working on commercializing. Then the Entrepreneur of the Year Award was presented by Jes Broeng, and the entrepreneur to be honored was Bjørn Andersen, who had stepped in as CEO of SHUTE, a spin-out from DTU Fotonik. Bjørn could not be there due to a rowing holiday on the river Thames. To receive the diploma and flowers for Bjørn was his SHUTE partners, Kristian Nielsen and Morten Møller. Monika Luniewska Jensen of SHUTE was also present. To close the conference, we had invited President of DTU, Anders Bjarklev. Anders closed the conference by thanking his fellow university peers for coming together to discuss how we can improve the conditions at the universities, so that many more research-based spin-outs may see the light of day. He further highlighted how it is DTU’s mission to benefit the society, and stressed: “At DTU, we say “DTU is technology for people”. We want to stress that we do not create new technology, for the sake of technology itself. We do it to make a difference in peoples’ lives. Technology and innovation are essential for our continued growth and welfare, for our shared future. We are very proud of that.”. After thanking Mads Lebech and Industriens Fond and other different stakeholders, Anders wanted to give special thanks: “To our excellent researchers, students and entrepreneurs. You are essential and indescribably valuable. Thank you for dedicating your talent, passion, energy and time. It takes a lot of that to start up a company -I know! Keep it up! Together we will be even better at turning world-class research into world-class spin-outs. That, I believe, is the promise of today’s conference. We have much to look forward to! The sky’s the limit!”. 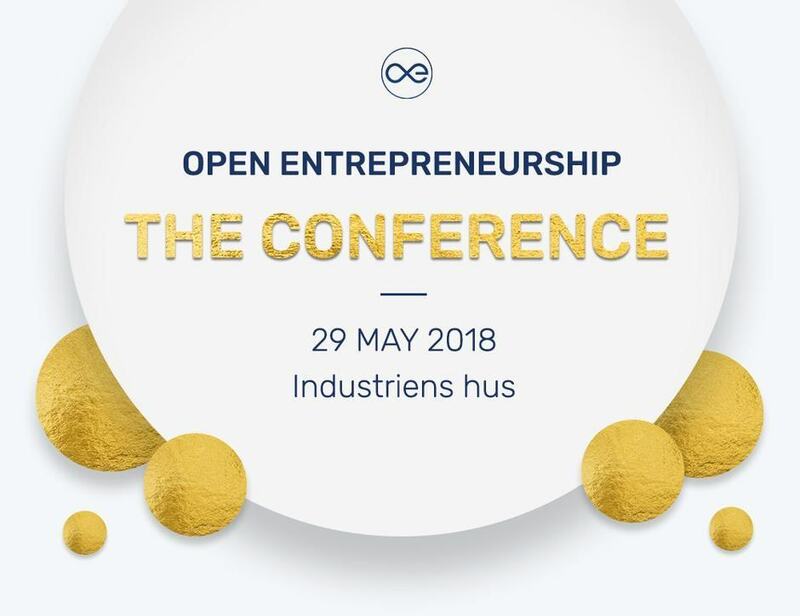 Next year Open Entrepreneurship: The Conference will possibly be held in either Aarhus or Aalborg. A change of scene and pace happened Wednesday, when a group of 40 researchers from the four partner universities, AU, AAU, ITU and DTU came together at the IT University of Copenhagen for Open Entrepreneurship: The Bootcamp. It was a bootcamp facilitated by Ken Singer and Gigi Wang, and focused on how to explore and exploit entrepreneurship as a university researcher. During the day, a question to Ken and Gigi from one of the researchers was: “What is your tip to us who only has been in academia all our lives?” And the answer was to invite in other people to help you, to help you look at things differently and help you with the things that you do not know yourself. Thursday was a changed group. There were talk between all researchers over morning coffee and Danishes. As Ken noted, “It is funny how Danish people call Danishes for Wienerbrød.”. You learn something new everyday. The day started of great with the presentation by Gigi Wang: From Value proposition to Value Extraction. This presentation really showed how researchers extract the value from their research in both an entrepreneurial or academic setting. Over lunch the bootcamp participants had to team up in diverse teams of three or four people, and trade a piece of candy with strangers at ITU or outside the campus, and see what kind of object/item that they could end up with after lunch. After lunch the two winning teams had returned with DVDs, protein bars and a case of sodas. The majority of participants were surprised how easy it was to talk to strangers, and get them to trade something, and others thought it was tough to get something of value from strangers. The lesson was how to handle rejection as a team, and how to power through it. How to hack your way through the Valley of Death? Expand the network beyond your industry. Work with industry, they will fund you through the valley of death. Understand your valley of death, and share the steps to be funded. The afternoon consisted of a communication and pitching session, facilitated by Gigi Wang. And following a very exciting team LEGO challenge with amazing results. On a very hot and warm summer Friday, Gigi Wang and Eugene Noh came to DTU, and met with the main administration business developers headed by Peter Sylvest Nielsen. Here best practices on tech transfer, innovation program and initiatives where shared. After the meeting, it was on to the next one with Steen Donner, Lone Gammelgaard Schwartz, Julie Rømer and Jes Broeng. Here we got a tour of FutureBox a brand new initiative by DTU Science Park. We discussed future collaboration and best practices over lunch, where a DTU student, Otto Ømann, interested in innovation and entrepreneurship joined the group. Otto is a DTU student and he will spent next semester on exchange at SCET at UC Berkeley through Open Entrepreneurship’s Global Partnership Program. Gigi and Eugene ended a busy week by joining the DTU Fotonik Summer Seminar and party. It was the perfect way to end a fruitful, warm and unforgettable week.